Contains: One (20 mL) bottle of liquid, 1 (35 g) powder, mixing pads and 1 scoop ONLY. 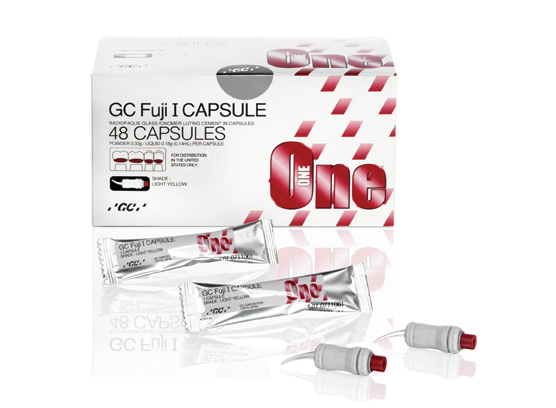 GC Fuji I is designed for the final cementation of crown and bridge restorations. It has been refined to provide enhanced physical properties. GC Fuji I chemically bonds to tooth structure and metal which provides excellent strength and marginal integrity for long term restorations. It's also well suited for securing metal inlays, onlays, posts and orthodontic brackets. Available in hand-mix powder-liquid or convenient, pre-measured capsules.